50 Real Ales plus 20 Ciders & Perry. Food and soft drinks. Entertainment on Friday & Saturday. A souvenir glass. Camping available. On payment of the entry cost, a souvenir glass will be required for an additional £2 (without handle) or £3 half pint glass with handle. If you return your glass a refund of £1 or £2 (depending on glass type) will be given (The other £1 goes towards washing the glass etc before it can be re-used), You will also need to purchase one or more Beer Token cards, each having a value of £10. (No cash sales at the bar). Any unused tokens can be exchanged back for cash, or donated to charity. 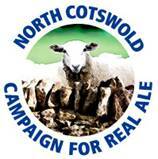 CAMRA members will be given a beer token allowance on production of a valid membership card. Toilets and Chemical Toilet Disposal available, but there will be no Electric hook-up facilities. Showers will be available in the pavilion from 10 am to 11:30 am for men, 11:30 am till 2 pm for ladies. Buses run to Moreton from several locations. 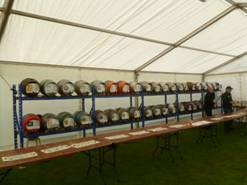 The Final Beer List is now available, Please click here. Performance times are approximate and subject to change. The bands will take a break midway in their session. If you would like to help us run this festival, please first read the guidance notes, Then click on the photo right for an application form. 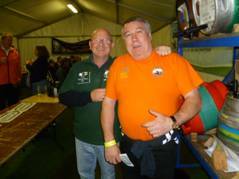 Please click on the festival beers right for a report of last year’s festival.